At Tie Downs Direct we understand that that not everyone is comfortable with buying online. We can assure you our website is safe and secure, implementing the latest encryption certificates, your Credit Card Details are Safe and Secure. 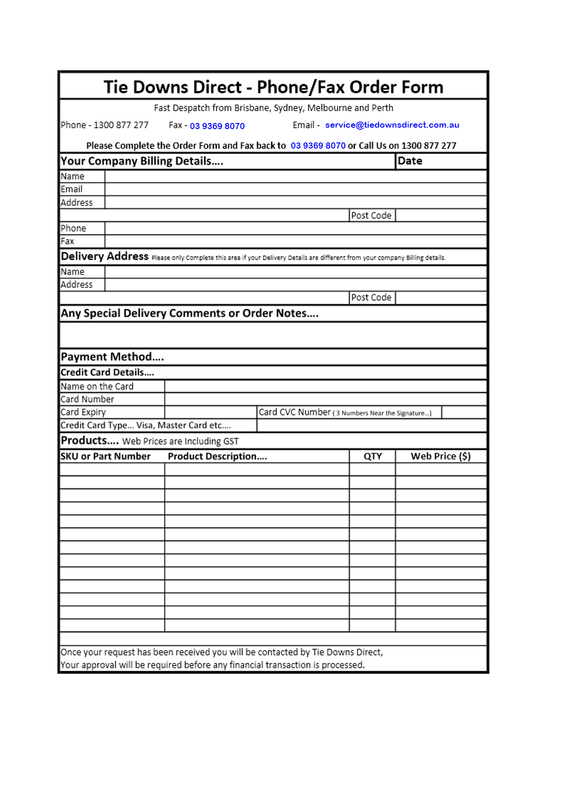 If you would like to place an order over the phone or by fax, please complete the form below. 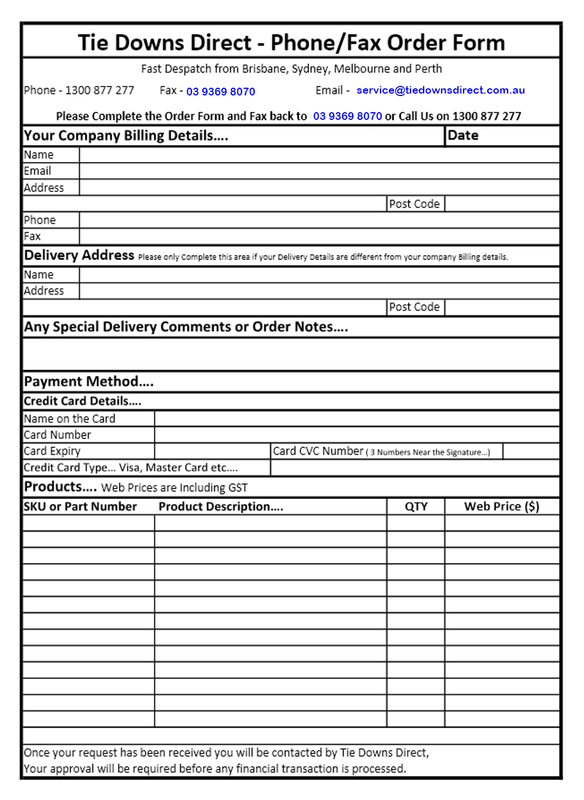 If placing orders by phone, it is important to have the appropiate information found on the order form, ready for our sales team. This speeds up the order process and ensures we're all talking about the same products. If you are unsure of something or have any questions please give us a call, we are always happy to answer any questions you may have.